Black Friday and Cyber Monday have already made their 2018 debuts, but there’s little doubt that package thieves are still skulking in the wings. Last year the big three package delivery services (UPS, FedEx, and USPS) were as busy as Santa, delivering an estimated two billion bundles between Thanksgiving and New Year’s.² That’s a lot of booty for a porch pirate to go after—but where you live can make a difference. With the busiest shipping season of the year in full swing, SafeWise decided to find out where these dastardly desperadoes strike most. Find out if you live in dangerous waters or see if your hometown is a safe harbor. SafeWise looked at larceny-theft rates and Google Trends data to identify the most and least risky places for package theft. We compared year-round data with incidents during the holiday season to identify the best and worst metro areas for porch piracy. Half of the top package theft metros also land in the top 10 for larceny-theft overall—Salt Lake City (1), Seattle-Tacoma (3), Miami-Fort Lauderdale (4), Raleigh-Durham (6), and Atlanta (7). Texas has the most incidence of high holiday package theft, with three metro areas making our list: Austin, Houston, and Dallas-Fort Worth. Half the metros on our list are from Texas and Florida—Texas has three and Florida has two. Only three of the top 10 metro areas that are most likely to have stolen packages also make the top 10 for porch theft during the rest of the year—Austin, Salt Lake City, and Seattle-Tacoma. Miami-Fort Lauderdale scores zero for stolen package searches year-round, but jumps to 31 (out of 100) during the holidays, making it the third most likely place to get your holiday packages pilfered! 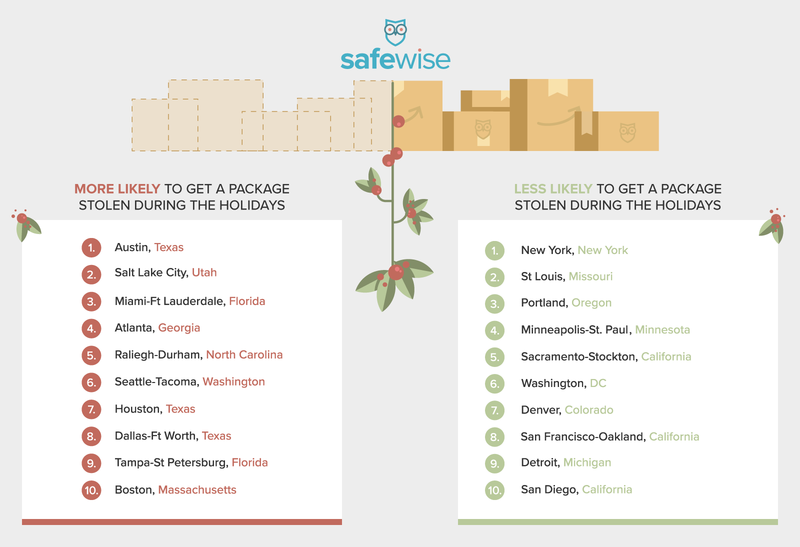 Surprisingly, New York City is the least likely place to have a package swiped during the holidays. The national metro theft rate is almost 17 incidents per 1,000 people, and three of our most risky metros stayed under that—Dallas-Fort Worth, Tampa-St. Petersburg, and Boston. File a report with insurance, police, the carrier, etc. Don’t get raided by porch pirates this holiday season. Whether you’re shopping online or shipping goodies to friends and family, use these tips and resources to ensure safe passage for your packages—especially if you live in a high-risk area. I’ve never had a problem with porch-pirates. My townhouse complex has only one way in and one way out. There is thus no through-traffic, so no opportunity theft. During 22 years year, I have only encountered one vagrant. He was asleep on my patio, so I awakened him with a boot to his head. When he exclaimed “What’s your problem?” I politely explained that I have a gun, not a problem. Since he didn’t want any .41″ Action Express, he wisely ran away. There are no vagrants in the neighborhood now. I suspect the word got out. I work from home making fishing lures, so I am home most times. Absolutely nobody comes here without my noticing. “Do Not Notice This Notice. Your Noticing It Has Been Noticed, And Will Be Noted.”. Why did you stop commenting? Sorry if that is too personal of a question. I was banned from AmRen. They gripe about totalitarianism and censorship, but they do the same thing, themselves. That’s hypocritical. They could have edited my comment or deleted it, or put me on some sort of probation, but they didn’t. They got over ten years of writing out of me, for free. Now I write product reviews for Amazon. Hey! I wondered what happened to you. 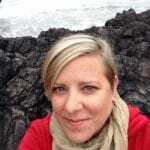 It’s sad that you were banned from AmRen – many have missed your humor and commentary. I was zapped from Breitbart recently for referring to Ilan Omar as a ‘POS’. The cowardly Cuckservatives strike again. Anyway I hope all is well and do take care.